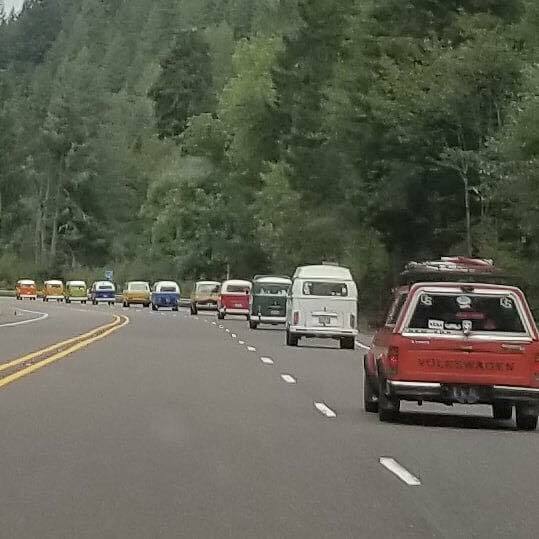 We are a group of vintage Volkswagen enthusiasts based in Eugene, Oregon. Join us! We have no dues or other membership requirements other than a love of old V-dubs (bugs, ghias, square/notchbacks, buses, vanagons, etc). We go camping frequently, participate in parades and festivals, and have a hella good time.